Apparently the US has to wait until 2018 to get the first model from Hyundai’s new N performance brand. 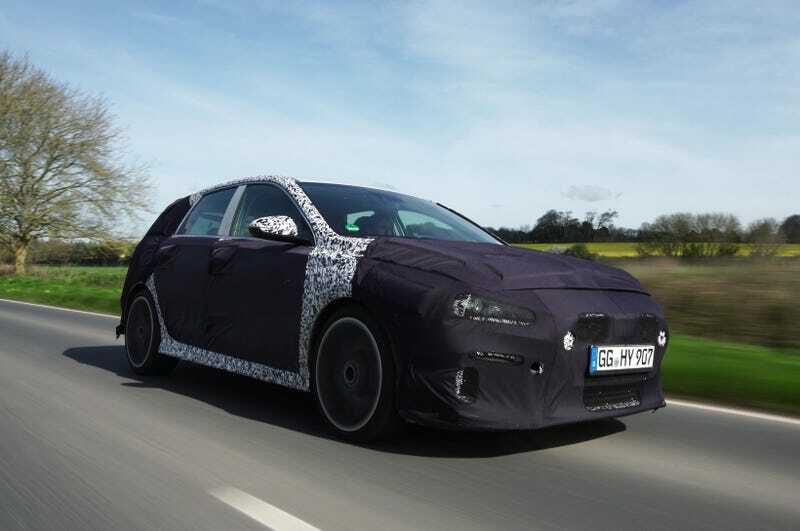 The i30 N hatch, which is the Elantra GT here in the US, launches this fall in Europe. N brand chief Albert Biermann has said the next candidate for the N performance treatment and for the US will surprisingly be a next gen of the Veloster. He said it will look similar (which isn’t surprising since you cant really go forward with a design like that) and have the same engine as the i30 N. He also stated that N brand will be exclusive to Hyundai, and wont extend over to Kia or Genesis. I have high hopes for the N brand, especially considering that Biermann was pulled from BMW M to head N. A new Veloster, which has been seriously lacking in the drive and power department even on the Turbo, should be a welcome entry into a segment that’s really hot right now. What do you guys hope to see from the Veloster N and the N brand overall?